Sometime in my younger years I watched a film on television. It starred Gregory Peck, and Fred Astaire I recall. Took place on a submarine, headed for, or based in Australia, the last country inhabitable after a nuclear war. It was called On The Beach and I’ll never forget some of it… though other bits made no real impression. Fred Astaire gave up and committed suicide in his garage. There was probably a love interest involved for Mr. Peck since I found Ava Gardner listed in IMBD. I was probably 10 years old when I saw it, since it was released to theatres in 1959. 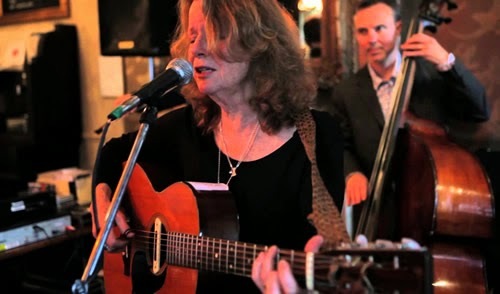 The film made a bigger impression on one Bonnie Dobson, folksinger. Bonnie Dobson was older than me, born in Toronto in 1940, so the film spoke to her far more than to my 10-year-old self. It caused her to write the song for which she is most well-known. Take me for a walk in the morning dew, my honey. Take me for a walk me in the morning dew, my love. You can't go walking in the morning dew today. But listen! I hear a man moaning, "Lord." I know I hear a man moaning, "Lord." You didn't hear a man moan at all. But I know I hear my baby crying, "Mama!" Yes, I know I hear my baby crying, Mama!" You'll never hear your baby cry again. Oh, where have all the people gone? Won't you tell me where have all the people gone? Don't you worry about the people anymore. The song “Morning Dew” has been recorded by artists as diverse as The Grateful Dead, Nazareth, Jeff Beck, Long John Baldry, Audience, Devo, and Robert Plant. Oh, and of course, Fred Neil and Tim Rose. Fred Neil recorded the first cover version and edited the first line to “Walk me out in the morning dew…” Tim Rose covered it after asking Ms. Dobson if he could write extra lyrics. He simply covered Fred Neil’s rendition, and took a writing credit for himself. For over fifty years Bonnie’s been sharing the royalties. With all this history, it’s not surprising that Ms Dobson should name her new album after the song. She has included a brand new recording of the song as a centrepiece for the CD as well. And it’s a corker of a CD. Dobson hasn’t released an album in many years; she’s been living in England, where she worked in academia. For her comeback she’s put together, for the first time, a band of her own. The album is credited to Bonnie Dobson & Her Boys. The band is excellent. Ben Phillipson (guitar), Ben Paley (fiddle), Jonny Bridgwood (standup bass), Dave Morgan (drums), Felix Holt (harmonica, vocals), Ruth Tidmarsh (vocals), Sean Read (trumpet, percussion) and B.J.Cole (pedal steel, dobro) add power, passion and strength to Bonnie’s still potent vocals. From the very first cut I was engaged. “I Got Stung” is another old song, written back in “1966 or ’67,” Bonnie recalls in the liner notes, “I think I might have been a little cross with someone.” I think she’s right, but it’s a great song and a fine way to kick things off. Watch this YouTube clip with a brief interview included, to hear the lead track. The addition of the harmonica adds some bluesy texture to the backing. 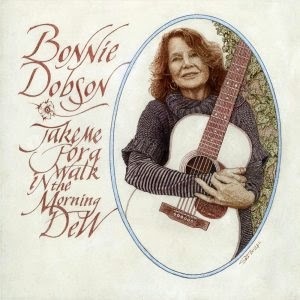 “Morning Dew” is the second song and Bonnie reclaims it as hers. The instrumental intro echoes The Grateful Dead (without going on for 20 minutes, as they were wont to do) but when Bonnie’s voice slides in, it becomes her song all over again. A haunting version of a classic. Legendary pedal steel player B.J.Cole is all over the next track, “Southern Bound.” Then a little mariachi music in “Come On Dancing.” Dobson’s voice is sprightly, belying her 70 years and giving proof to the youth-giving effect of music. “Living On Plastic” is about a breakup, but from a very distinct point of view. “I used to be married, I used to tow the line…now…I’m living on plastic…having a real good time." B.J.Cole has a real good time with his dobro on this one! 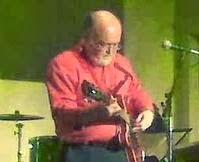 The traditional ballad “Peter Amberley” follows. It’s a song from Prince Edward Island. Since I’ll be there in two weeks, I’ll see if there’s any truth to this tale. Dobson’s version is gorgeous, taken at a stately tempo, suiting the subject matter. After that it’s an accapella version of “Dink’s Song.” You’ll know this one from the recent film Inside Llewyn Davis, but the version here demonstrates the presence and power of a solo voice. If this was a vinyl record, we would’ve just reached the end of side two. That could be why “Winter’s Going” is scheduled next. It is filled with dynamics. Beautiful and sets up the second half wonderfully. “Mean and Evil” is as close to the blues that Bonnie gets, and she’s gets pretty close. There are another half dozen songs included which range from the French traditional song “V’la L’Bon Vent” to the logging tune “Sandy Boys” before closing with “JB’s Song” a lament. The band is never less than excellent. Kudos to the two Ben’s on guitar and fiddle. They make these folk songs rock. Bonnie is in fine voice throughout, singing in a clear soprano that hits every note it aims for. Just a word about the packaging. Take Me For a Walk in the Morning Dew is the third release for a new label form the UK. Hornbeam Recordings. All three have covers drawn and designed by Ski Williams and they are lovely to look at, with plenty to read. Bonnie’s sleeve includes personal notes on each song, a review of Ms. Dobson’s career by Robin Denselow and an appreciation from Alec Palau. The website is a thing of beauty too. All in all a perfect package.It’s been a long time since we’ve heard from Bonnie Dobson, but this album gives us hope that it won’t be so long before the next time. And we have lots to listen to in the meantime.